Beijing-based architectural studio MAD Architects has unveiled an alternative vision for the skyline of New York City with the introduction of East 34th, a nature-inspired high-rise proposed near the Empire State Building. The conceptual renderings for the glass-clad building were recently released alongside the launch of the “MAD X” exhibition at the Centre Pompidou in Paris. 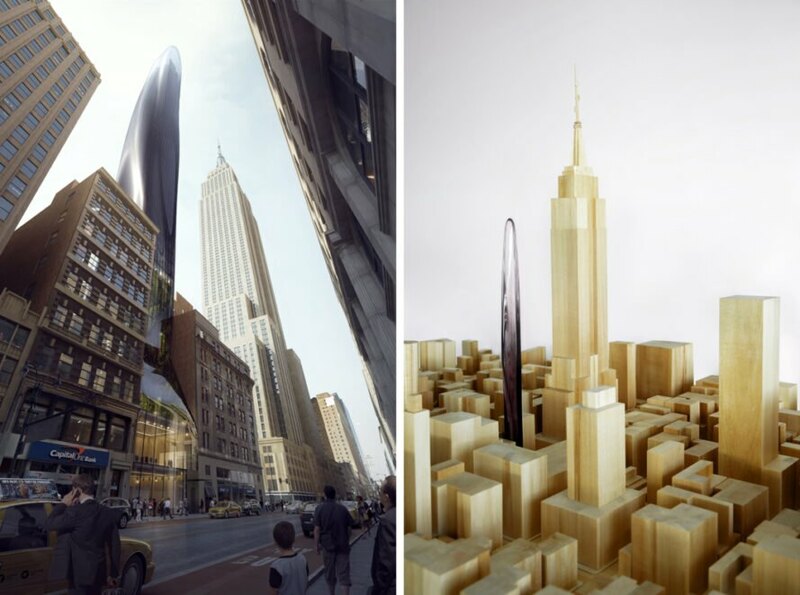 Designed as a visual counterpoint to the Empire State Building and the skyline’s hard lines, MAD’s sinuous skyscraper is “planted like a seed” and takes cues from living architecture. Conceived as a mixed-use building, East 34th is envisioned for a 5,231-square-foot site and spans nearly 120,000 square feet of floor space with a building height of 761 feet, about half the height of the Empire State Building. The high-rise would include a commercial podium at street level with retail and public amenities, while luxury residences with double-height communal spaces occupy the upper floors. In keeping with MAD Architects’ philosophy of bringing nature into all aspects of architecture, East 34th would also include a spacious multi-floor atrium with an expansive green wall as an “escape into nature” from the concrete jungle. Wrapped in a deep-colored glass curtain-wall facade, the slender and sinuous skyscraper is topped with a rounded cap. The model of East 34th is one of 12 architectural models created by MAD Architects currently exhibited at Centre Pompidou in Paris. MAD Architects has proposed a slender, mixed-use development for New York City. The skyscraper, called East 34th, would contrast from the hard lines of surrounding high-rises. The design is inspired by nature. The building would consist of retail and public amenities as well as luxury residences. East 34th would stand next to the Empire State Building. 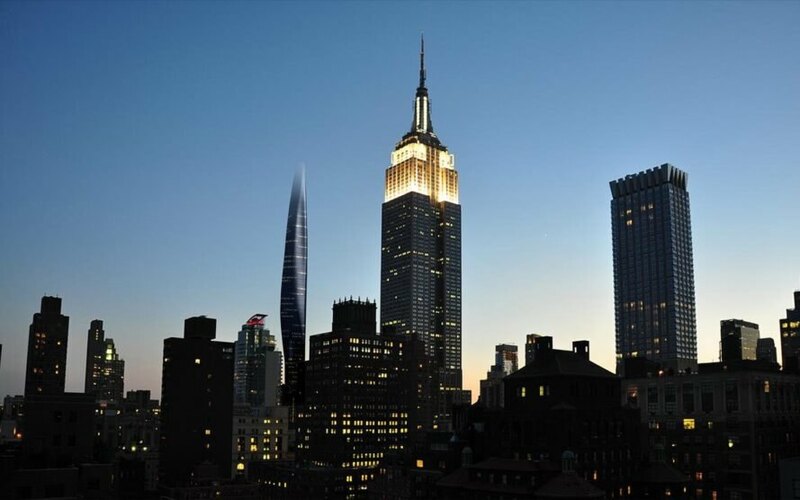 The project would rise to 761 feet tall.